Description: Here shows a performance workflow diagram template. It uses swim lanes to distinguish function units and shows the performance workflow accross departments. Download it now and create personalized workflow diagrams. Create a workflow chart, process workflow, and more in minutes. 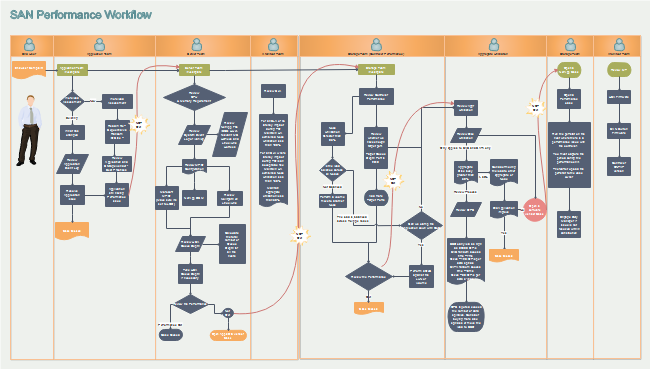 With Edraw Max, you can edit the free workflow chart templates to reuse the same workflow steps.